CONSENSUS is examining patterns, drivers and solutions for sustainable household consumption in Ireland (North & South). Around 70% of the environmental impacts of consumption in European states is linked to: mobility; eating and drinking; and housing (including household water & energy use and waste). CONSENSUS draws on social practice theories of behaviour change. This involves analysis of social, individual, technological, infrastructural and policy factors that shape everyday consumption. Visioning processes: We co-created future visions for sustainable heating, washing & eating practices with key stakeholders and the public. These informed transition plans contain ideas for new technology, policy & education. Engagement: Our research uses creative, qualitative and quantitative methods with high levels of stakeholder and citizen engagement. 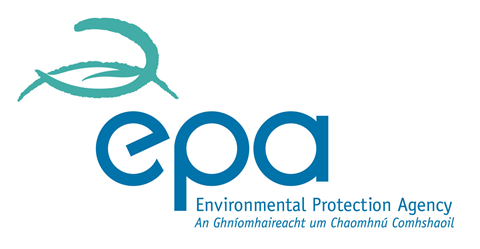 We surveyed 1,500 people across Ireland, North & South to assess environmental actions & values. 86% of them declared “very” or “somewhat” concerned, which proves high levels of environmental concern. Persistent value-action gap: 80% stated we should conserve water, while 40% don’t pay attention to their water use. Workplace mobility campaigns were piloted & evaluated to encourage a modal shift towards walking, cycling & car-sharing. Commuting typologies were developed for more effective sustainable transport initiatives. Teleworking was evaluated for its potential to reduce travel, though we found that its economic, social and environmental consequences are not always positive. Heating: targeted body heat; embedded thermostats; indoor temperature variation; monitoring energy use; consumption visibility. Personal washing: ICT to communicate water levels; adaptive washing depending on water levels; splash / gel wash substitutes; water consumption targets & benchmarking. Food practices: systems for food sharing; community & vertical farms; ICT for sustainable purchasing, storage & preparation. CONSENSUS revealed the importance of integrated approaches targeting social, individual, material & regulatory contexts that shape our everyday consumption practices. See: www.consensus.ie for papers, policy, business, education & research recommendations.